I'll be flying internationally again in May. That's right...the wifey-poo and I are off to Spain and Morocco. The flight was a bargain. It was free thanks to billions of dollars thrown on to credit card so I could scrape together enough points to go for free. And if we'd wanted to go business or first class for free off points, I would have had to pay off the national debt to have enough points for that! Airlines. It just gets worse and worse, doesn't it? The tickets are free, but don't forget about paying the fees and taxes. Now there are three certainties in life: Death, taxes and airline fees! Oh, and let's not forget they charge for luggage now. Carry on? No problem; I travel light. Oh, wait...that's right. I can't bring my fingernail clippers. 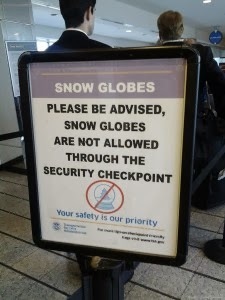 So unless I feel like gnawing off my fingernails and toenails while I'm over there....forget carry on. Ok, wait, sure, I could buy one while I am there and then just give it to the homeless guy the ramp to the airport before I leave. Even still, I'm burdened with a stupid expense. And let's not forget liquids. Unless I want to ration my shampoo down to a droplet per shower, I'll likely exceed the 6oz limit during my two week stay. The point is...by the time I give up these restrictions only to buy them over there, I might as well pay the luggage fee anyway. They've got you! Food. Of course they're going to charge for food. They can't do it on the really long flights thank goodness but we have to bring food anyway because the taste and nutritional value of airline food is right up there with my local movie theater serving hot dogs that have been turning on the rotisserie for the last 5 hours and would really be beef jerky if there were any meat in them in the first place. Seats. 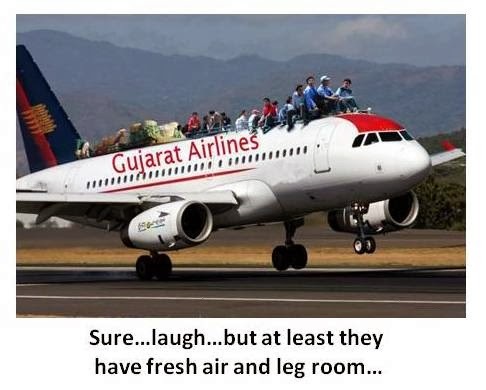 Have you heard they'll be charging for seat choices soon? That's right, unless you want to roll the dice and spend 8 hours in the seat against the bathroom wall that doesn't recline and has people standing next to you needing to crap in that bathroom so they're farting in your general area by all means, you'll have to pay for that seat choice. 1. I want a security entrance rating. The higher the rating, the less hassle going through security to my gate. Why not? We can do it with credit. 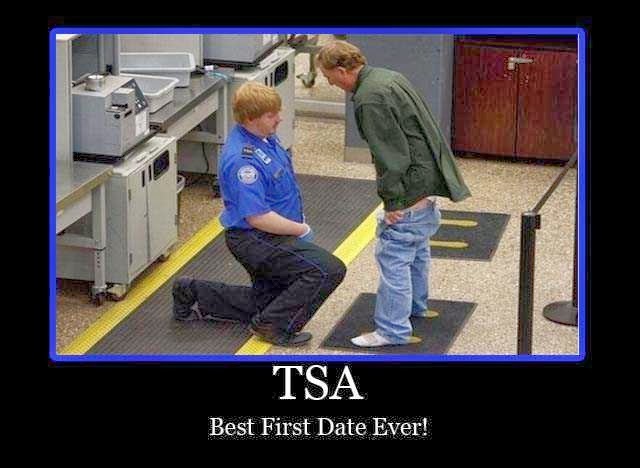 If I have a proven high enough rating, I should be able to walk through, flashing my id and picking boogers out of my nose while I flick them at the security personnel. No stripping down. No special technology scanners that find a Tic Tac stuck in my change pocket. No isolating the shoes from the laptop from the belt from the shoes from the metal in your pockets. Then, as scores get lower or riskier, those different measures come in. The lowest scorers can just go straight to the isolation rooms for a good cavity search and mental questioning torture. It'll be motivation to earn a higher score. 2. They need to redesign these planes. Have you seen how rides in amusement parks enter from the side so that like 50 people can get to their seats simultaneously and not have to be funneled through the entire plane while some idiot goes too far and tries to back up the line. No, planes should open from the side and allow us to board in right where our seat is. We can built droid devices to deliver our Federal Express mail and you're saying you can't come up with this on an airplane? 3. Sleeping horizontally. On long flights where it is obvious that people will sleep, planes need a design where every other seat rises up and then can fold flat for a bed, allowing more room for the other seats to sleep horizontally too. I mean come on, I shouldn't have to buy one of those stupid neck pillows to keep my head from tipping over into the guy next to me. I should have to use advanced Twister moves in order to find a way to sleep. 4. Cone of Silence and Smell. I don't want to smell that overweight salesman that had to actually run to catch the flight and is now paying back everyone sitting around him for his lack of proper planning. I don't want to hear that baby crying. Give me a way to shield all that noise and odor without plugging into my ipod and dousing the area with secret shots of air freshener. While flying home from Vegas, I was seated next to a guy that had apparently spent a very rough few days at the tables/bars. I would have given anything to have had a mint (or 12!) to toss in his open, snoring mouth! Oh the joys of being too close to people. UGH! I like your ideas. Oh, and do them all without spending much money. reforminggeek - True...they should just be improving this stuff at no cost to the consumer every year. You never see an add saying "New this year at Delta Airlines is seat warmers..."
I don't understand the whole need for humiliating oppressive traveling. It's disgusting the way we're crammed in like sardines. Just frickin charge me the extra whatever and give me some damn legroom.